There is something about the ruddy colors of Autumn that sends travelers out to the vineyards to do some tasting. Around the world, destinations are stomping the grape in the hopes of winning a few awards and attracting wine-loving visitors. The German National Tourist Board once estimated that about 17 percent of American travelers engage in culinary or wine-related activities while traveling. As well as wine sales do for a country like Germany, the visitor spend of wine loving tourists is more. Wine is a tourism business. That’s why USA Today puts Best Wine Regions to Visit among its Top 10 lists. That list, chosen by its readers, features many popular tourism areas. The list includes Alentejo in Portugal, Okanagan Valley in British Columbia, Maipo in Chile, Marlborough in New Zealand, Croatia, Napa Valley in California, Tuscany in Italy, Australia’s Hunter Valley, Oregon and Virginia. Just consider one destination on that list, the Hunter Valley. Located just outside of Sydney, the composition of businesses in the Hunter Valley demonstrates the essential role tourism plays in wine. The region features 150 wineries, vineyards, and cellar doors along with 65 restaurants and more than 180 places to stay. 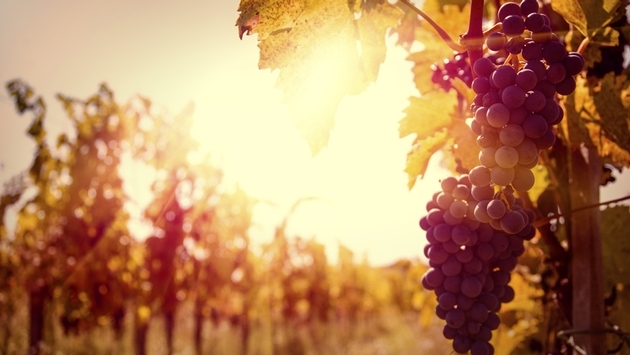 According Tourism Australia’s former director Andrew McEvoy, the combined business of wine and tourism was worth A$140 billion annually to the country's economy. Even in China, wine is laying down roots. This Nov. 29, the Decanter Shanghai Fine Wine Encounter will take place at the Ritz-Carlton, Shanghai. The encounter features wine producers coming together for a day of tastings and master classes. Attendees will be able to sample wines, meet top names in wine from around the world, and more. Tuscany is one of the first places that come to mind as the harvest begins to ripen towards its day. "As the leaves start to think about changing color, activity gears up at Castiglion del Bosco," said Emanuela Setterberg, general manager of Castiglion del Bosco is a 4,500-acre country estate, 30 minutes from Siena. From Sept. 20 to 30, Castiglion del Bosco’s plump Sangiovese grapes will be harvested. On Sept. 26, the estate’s enologist Cecelia Leoneschi will host a full-day program to explain harvest techniques and the secrets of winemaking. Guests will participate, do a little harvesting and wine making before finishing the day with a picnic. Between Sept. 10 and Nov. 16, guests can also join hunts for the wily truffle or join the olive harvest between Oct. 15 and Nov. 16. The Castiglion del Bosco is comprised of a village and its surrounding farmlands that have been transformed into an agrotourism resort complete with suites and villas. The estate is also home to Italy's only totally private golf club as well as vineyards producing Brunello di Montalcino wines. There is also a heli-pad, fitness center, tennis courts, bocce court, hiking trails, Kids Club and spa. Wine means a lot more to France than apple pie means to America. The first French vineyard dates to 600 BCE in an area that later became Marseille. Scenic Cruises’ 2015 Europe River Cruising program has added several new experiential cruises including a 12-day Bordeaux River Cruise that puts the world’s most envied vineyards into the itinerary. There’s also plenty of time to look at Gothic architecture and other historic activities in the area. The cruise does no overnight sailing; instead it docks in Cadillac, Libourne, Blaye Pauillac and Bordeaux. Scenic Cruises’ “Space-Ships” are the only ones in France with full-size private outdoor balcony suites. The Space Ships are so-called because of their 474-square-foot luxury suites. The ships feature a 3-to-1 guest to staff ratio, unlimited beverages, including premium wines and spirits, all meals, and personal butler service, to all excursions, events and entertainment; from Wi-Fi and airport transfers to all tipping and gratuities on board and ashore. In recent decades, Europe’s pre-eminence as the top of the wine world has been challenged by upstarts from Sonoma to the Casablanca Valley and from Cape Town to Australia/New Zealand. This coming Jan. 29 to 31, Queenstown, New Zealand will host the 11th annual Central Otago Pinot Noir Celebration for wine lovers and connoisseurs from around the world as local winemakers gather to celebrate the region’s acclaimed Pinot Noir. Wine appreciation is only the lead activity that takes participants from one divine table to the next and from one beautiful landscape to the next. “The local wine community looks forward to hosting the celebration,” said festival Chairman John Wallace. “It’s a must-do for anyone who wants to immerse themselves in our stunning region, our wine and to meet the people. Whether they’re a wine appreciator, wine professional or wine writer, we want to show them our unique part of the world.” The 2015 Central Otago Pinot Noir Celebration is now open for registration.